The big question is.... Does anyone have a spare mov't for this controversial watch? I'm still checking through all of my stuff. 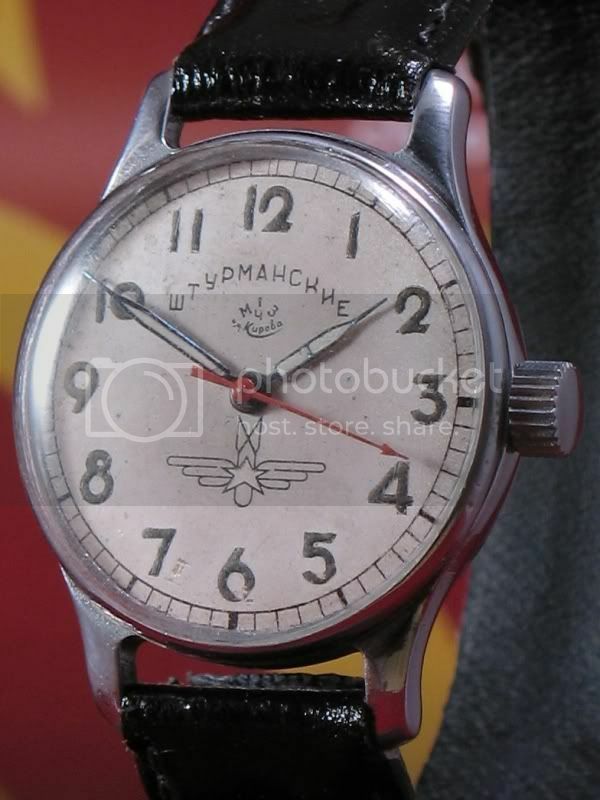 I need a new pallet fork for a vostok 2416B movement, anyone? I beleive, one of those Komandirskies with doted seconds hand is the komandirskie with black plastic case. Can you check ans confirm or reject this? I accidentally polished part of the plating off of my bezel and want to replace it. My options are replacing it or removing it and spraying it with Krylon chrome spray paint and redoing the colored parts with model enamels. If anyone has a spare they are willing to part with for a reasonable place, please PM me. I'am looking for correct hands and a crown for my 17 jewel 'Gagarin' Shturmansky. Kenneth L. Franklin (1923-2007), astronomer. Recently acquired a Vostok Amphibia that is missing one of the gears in the autowind mechanism. Also missing is the small gold colored retaining? clip that appears to hold this wheel in place. Please see the circled area on the attached photo for the parts in question. I would be interested in locating just the missing items or possibly purchasing a suitable donor works if the price were reasonable. Send me a PM if you can assist. Desperately seeking a stem for Molnija 3603. Tried a 3602 stem but it does not fit. Fully threaded one is preferred. Please help me resurrect a poor dead watch! !